Already the result of existing building restoration, Villa Blanc in Rome was redesigned in 1898 by the architects Giacomo Boni and Umberto Mora in the eclectic style according to the wishes of Baron Alberto Blanc, Minister of Foreign Affairs of Crispi’s Cabinet. Set in a park of considerable environmental and architectural interest, the location is formed by Villa Blanc, the surrounding park, some smaller buildings and greenhouses; since 1922, it is subject to constraints regarding architecture and cultural heritage protection. After many changes in ownership, together with extraordinary and conservation interventions over the decades, in the 2014-2016 period Villa Blanc was subjected to a careful restoration. The original spaces, shapes, indoor and outdoor decorations have been respected and repaired, including the impressive staircase with caryatids and the balustrade supported by 41 alternating smooth and twisted little columns – symbol of harmony in diversity –, which had been stolen during the years of decay. 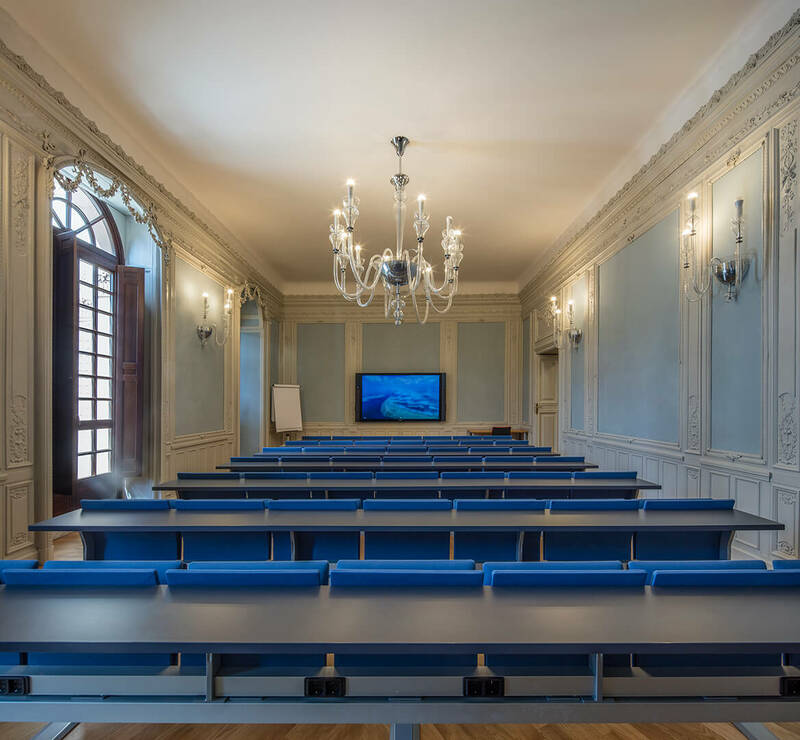 Since January 2017, the building has become part of Luiss Business School campus, a management school of Libera Università Internazionale degli Studi Sociali “Guido Carli”, where students can take advantage of cutting-edge technological innovations in a charming historical setting. 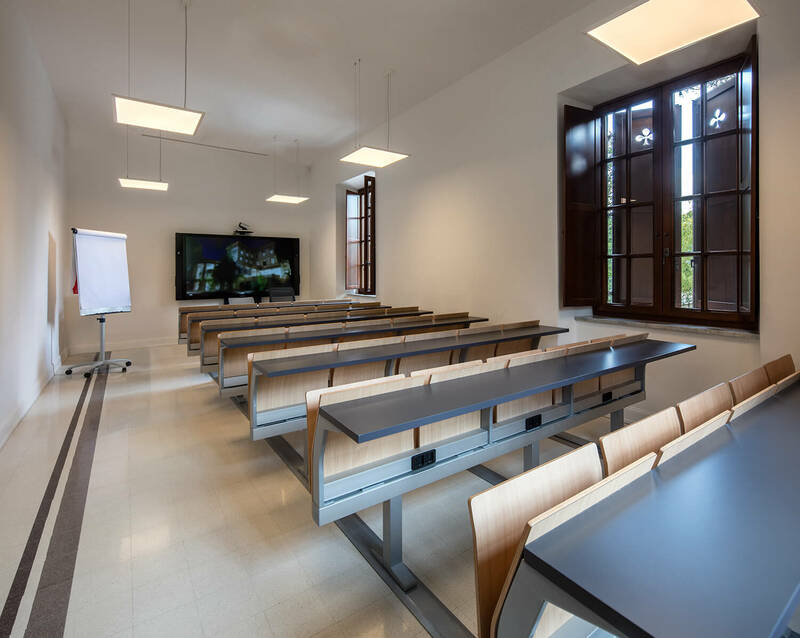 The interior furnishings, realised by LAMM, include E4000 study benches. 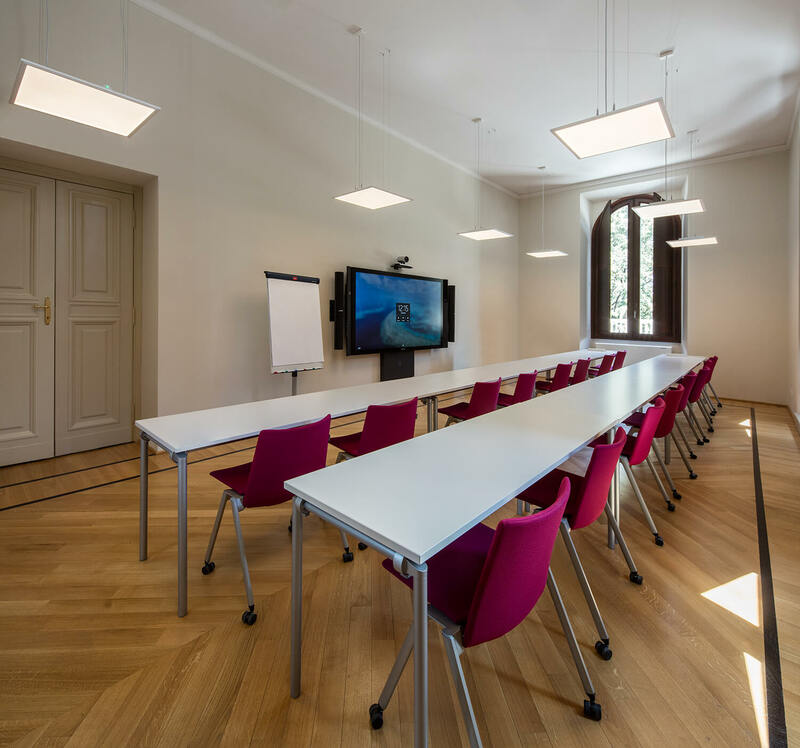 They are supplied in the version with fixed top, cable management and inter-row bars, which ensure the respect of existing floorings as no fixing holes are necessary. 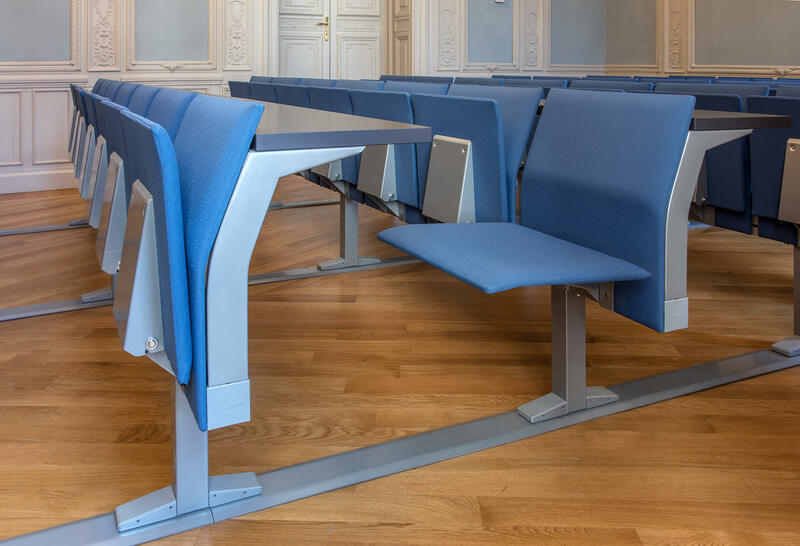 After a study on simplification and rationalisation, the components of this line present features of functionality, resistance and durability while meeting practical requirements in the educational field and integrating technological and multimedia devices. The five small villas have been equipped with upholstered and laminated study benches in three different finishes. 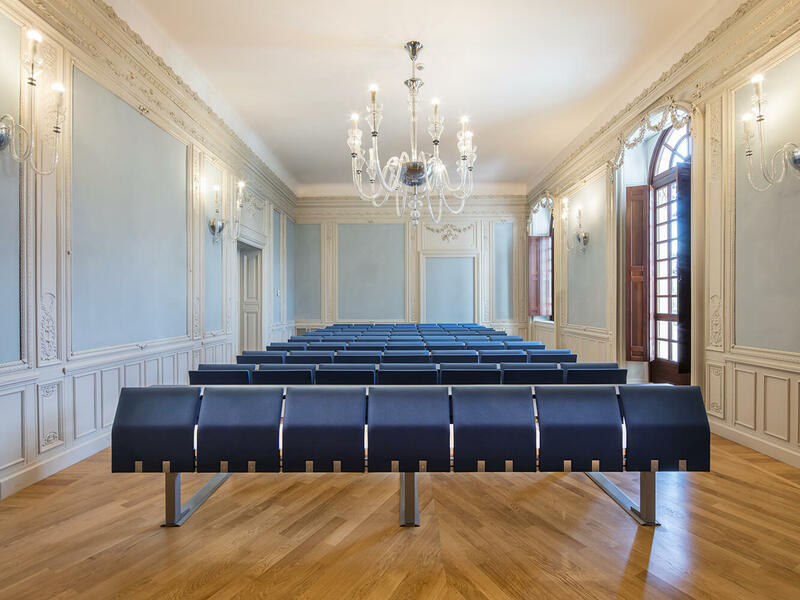 Fully upholstered HL3 chairs with tip-up seat have also been provided, characterised by an essential design and innovative solutions that guarantee high durability and resistance performances, combined with great comfort and formal lightness.